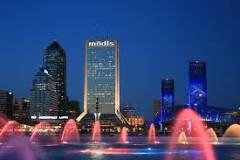 Immersed yourself to the city of Jacksonville and experience that engross your mind, body and inner adventure, explore the stunning beaches and waterways, a downtown in renaissance. Jacksonville’s outdoors explode with opportunities to experience world-class Adventure & Sports. From the NFL Jaguars to Golf in Northeast Florida or Out of the Box Sports, you’ll score a home run in Jacksonville. Treat yourself to some amazing park of the city that surely enjoy for the whole family such as “Talbot Islands State Park” offers many beaches because of its location on the barrier islands. You can escape the hectic pace while savoring hiking, kayaking, horseback riding, wildlife viewing, camping, fishing or a picnic. Fodor’s notes the beautiful beaches, nature trails and wildlife here. Bring your camera so you can bring home your memories of the stunning scenery. Jacksonville city is an endless fun things to see and do whether you’re looking to ignite romance, reconnect with family or be inspired by the city’s cultural offerings, unique cuisine creations or vivid sunrises, Jacksonville has it all for you.